Jack started his adventure in Lincoln, Arkansas on June 22, 1943 with parents Carl Thomas and Esta Elmina (Howard) Kidd. He joined older brother Tommy Dowe and four years later a sister, Donna Sue, arrived. The only life he knew was small town life and farming. Then right in the midst of his teenage years, just when he thought he knew everything and had the world by the tail his parents decided to move. The animals were sold, the farm was sold, the truck was packed and off they went to a totally different life– in Sacramento, California. He couldn’t go back; the only way was forward. There were new friends, a new school, a new church and a girl. THE girl, it turns out. Jack married Jeannette Suzanne LeRoy on Sept. 20, 1963. They became the proud parents of Christopher Douglas, Joseph Anthony and Jeremiah Tobias. Older brother Tommy and his family moved to Southern California to find work and soon Jack and his family followed. Soon after that parents Carl and Esta joined them. Life in the big city was OK for 10 years or so but after a vacation to Oregon, country life again beckoned. First Jack, Sue and the boys moved to Silverton, Oregon. They were followed by Tommy and family and a few years later by Carl and Esta. Donna, now married, came a few years after that. Farming was now only an avocation. 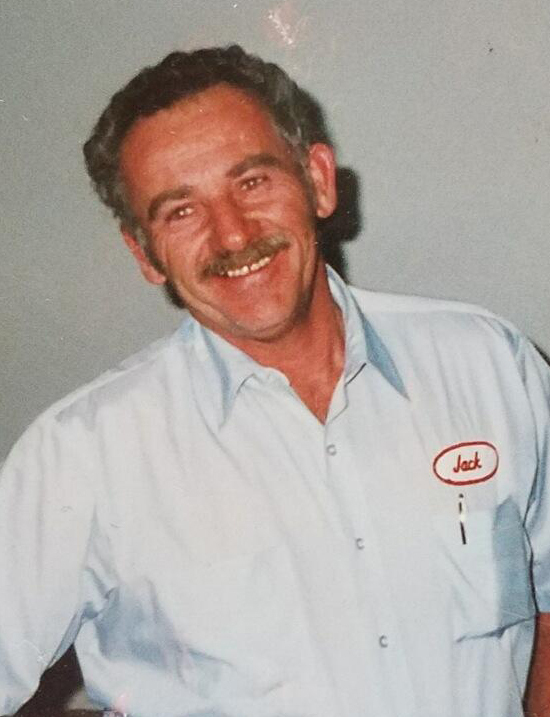 Jack was a plumber, a roughneck with an oil company, a truck driver before retiring. Retirement brought more change and an undiscovered ability to write humorous short stories. Oldest son Doug bought land north of Coeur d’Alene, Idaho and Jack and Sue moved one more time. Jack passed away on March 15, 2019 in his home in Athol, Idaho. April 7 at 2 p.m. at the Silvertowne Commons Building, 1115 Mill St., Silverton.